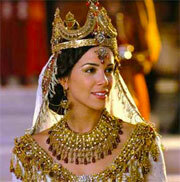 This and many other books became discredited after the Council of Laodicea. And being under ban of the authorities, afterwards it gradually passed out of circulation. At about the time of the Protestant Reformation, there came to be a renewed interest in the Book of Enoch which had long since been lost to the modern world. 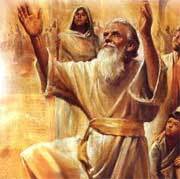 By the late 1400′s rumors began to spread that somewhere a copy of the long lost Book of Enoch might still exist. During this time many books arose claiming to be the long lost book and were later found to be forgeries. The return of the long lost Book of Enoch to the modern western world is credited to the famous explorer James Bruce, who in 1773 returned from six years in Abyssinia with three Ethiopic copies of the lost book. In 1821 Richard Laurence published the first English translation. The famous R.H. Charles edition was published in 1912. In the following years several portions of the Greek text surfaced. 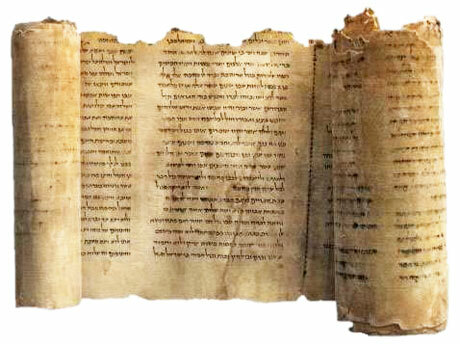 Then with the discovery of cave 4 of the Dead Sea Scrolls, seven fragmentary copies of the Aramaic text were discovered. I don’t know if it’s the rebellious, ‘question all authority’ streak in me, or merely a ‘damn-the-cannonballs-and-full-steam-ahead’ bravado, but I continually find myself questioning everything – even the things I tend to believe with the faith of a true zealot. As far back as my conservative, fundamentalist, evangelical seminary training, I tended to buck the system. I have no desire to create the false history that I was some sort of youthful, angst-ridden, anarchistic rebel, but suffice it to say I was, many times, labeled a ‘trouble maker,’ simply for asking certain questions. It was sometimes a serious charge leveled at me, and other times a tongue-in-cheek, wink-&-nudge understanding by my professors that they, too, suspected there was much more beneath the surface of our systematic theological dogmas. That is the foundational stuff that culminated in my writing a book on the Nephilim. The stories of the bible had been presented to me so many times over the course of my childhood, that I felt I already possessed all the answers. But the detriment to being raised with those old stories is that they start to take on the aura of being just that – tales. We forget that these things, however they actually happened in the course of history, were real events happening to real people somewhere at their core. It wasn’t until I began thinking through my beliefs and sifting through the stories of faith, that I started noticing the missing elements and recognizing the gaping holes in the theology under which I had so willingly immersed myself. Now, this is not to say that those old bastions of faith were somehow misplaced or irresponsible in their doctrinal approaches, it’s just that they weren’t looking for the deeper answers, therefore they tended to blind themselves to the missing pieces of the puzzle that didn’t fit their theologies. Dogmatic practices governed, manipulated and even ignored the questions, thereby rendering their followers incapable of even seeing the questions that were left bleeding-out like so many open wounds. I want to ‘know’ things. I want to seek out the ‘reasons why’ I believe something. Faith without an object or foundation is blind, and I hate stumbling around in the dark. It is for these reasons that I set off in search of answers to my many questions. The Nephilim were always a bit of an enigma to me. 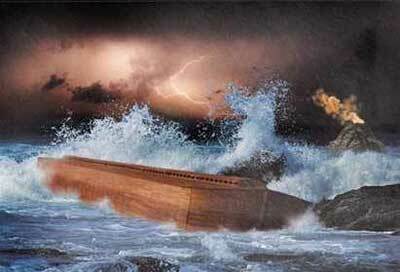 I was taught the story of ‘Noah’s Ark’ in Sunday School, and in even greater detail when I was in seminary. Throughout all that education, however, never was I taught that the Sons of God and their Nephilim offspring were connected to the flood of Noah. And as it turned out, the mention of the Sons of God and the Nephilim were actually the preamble to the story of Noah and the Ark. The descent to human women of the beings known as the Sons of God, their subsequent cohabitation and sexual intercoursing, and then the ramifications of these acts on all of humanity, simply raised deeper questions in my mind. First of all, I wanted to know who they were, and secondarily, but not of less importance, I wanted to know why the account was so ignored in religious teachings. I wanted to know more. So I studied and researched and dug deeper. It is incontrovertible in my mind that humanity underwent huge, creative interruption somewhere in our primordial past. The ancient history of humankind experienced an interference on so great a level as to be seen as nothing short of grandiose, if not catastrophic. The historic ramifications of the acts of the Watchers and their hybrid offspring affect not only the course of human DNA, but the entire thread of religious history, establishing the world’s theologies and underscoring the subtexts of myriad spiritualities. 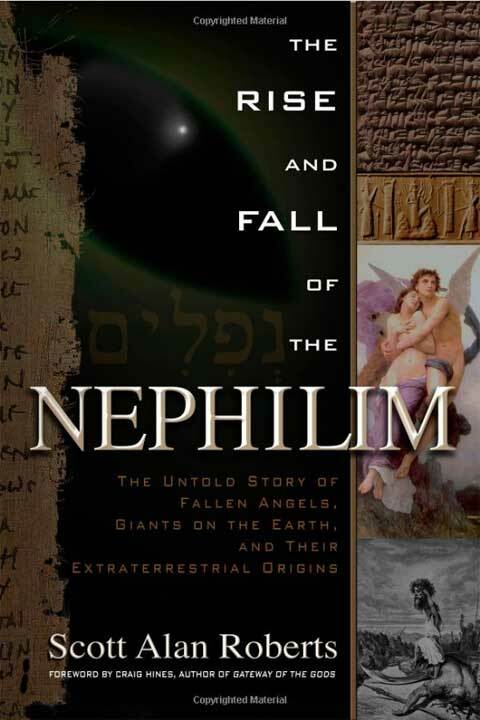 The story of the Nephilim – no - better: the history of the Nephilim is far-reaching. Their presence on this planet, from our ancient past through to our current events is tangible, yet strangely invisible to those who do not look or ask the questions. Conscius gigno curator gigno scientia relinquo sapientia. Roughly translated, “Awareness begets Curiosity begets Knowledge bequeathing Wisdom.” In other words: Think, seek, learn and apply. Repeat. Did you ever wonder about the “sons of God” in the sixth chapter of Genesis? Well, it was a few lines summing up the book of Enoch, likely written prior to Genesis even. This book argues that Enoch is Scripture and also explains why that is so. But since as the cover reads the church fathers suppressed it, we don’t find it in our Bibles today. 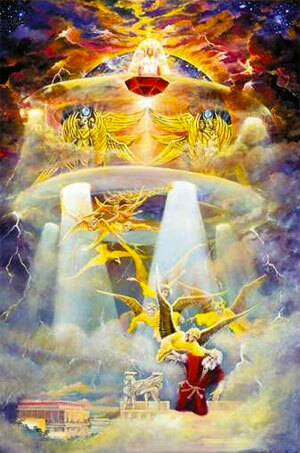 But by drawing parallels to it and our Bible it concludes Jesus had thorough Enochian knowledge. Not only that, but that all the characters of biblical times knew of the Watchers’ fall, and the adulteration of our race with Nephilim genetics. Did rebel angels take on human bodies to fulfill their lust for the “daughters of men”? 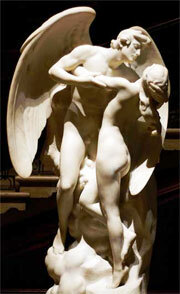 Did these fallen angels teach men to build weapons of war? That is the premise of the Book of Enoch, a text cherished by the Essenes, early Jews and Christians but later condemned by both rabbis and Church Fathers. The book was denounced, banned and “lost” for over a thousand years-until in 1773, a Scottish explorer discovered three copies in Ethiopia. Elizabeth Clare Prophet examines the controversy surrounding this book and sheds new light on Enoch’s forbidden mysteries. She demonstrates that Jesus and the apostles studied the Book of Enoch and tells why Church Fathers suppressed its teaching that angels could incarnate in human bodies. Contains all the Enoch texts, including the Book of Enoch, and biblical parallels. Contains Richard Laurence’s translation of the Book of Enoch, all the other Enoch texts, including the Book of the Secrets of Enoch, biblical parallels. Quoted in the book of Jude, and used to form our view of angels and demons, this book connects the dots of doctrine and prophecy in the scriptures. It goes into more detail about the “Sons of God (Angels) that left their positions in heaven to marry human women”, having children that became giants and introducing violence, sorcery, and evil spirits into the world.